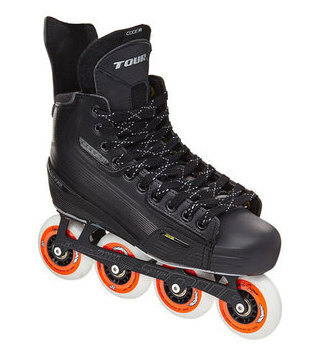 The Tour Fish BoneLite Pro Roller Hockey Skates are the top of the line skates from the Tour Fish BoneLite line and is offered in black and white colorways. 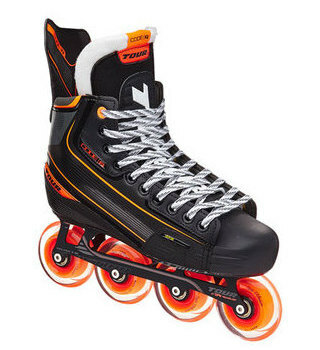 Bringing back the legendary Fish-Bone name, these BoneLite Pro skates offer excellent performance and ventilation using new materials in the liner and the quarter package. * This is a cavity in the front portion of the outsole allowing larger 80mm wheels to be recessed into the skate. 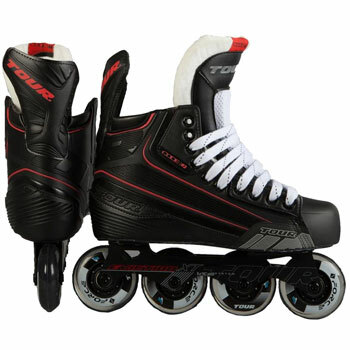 Therefore, the skate can use all 80mm sized wheels to increase the player’s speed and maximum grip, while still maintaining a low center of gravity. Low center of gravity = more control more speed! 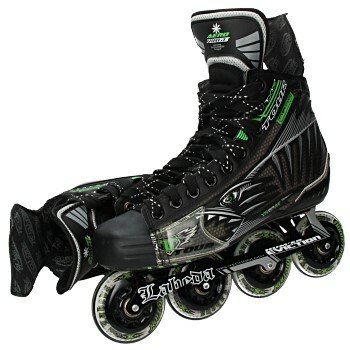 WEIGHT of a size 9D inlineskate.